If week 2 has been a tough one, motivation-wise, week 3 of Project 365 was the opposite. Thanks to a couple of late visits to catch temporary exhibitions that were closing, I found myself allocating some extra time before hand to grab some night photos. I also discovered unlikely photography spot from the very building I work in (!!!) and of course, there was the snowy weekend to round it up prettily. 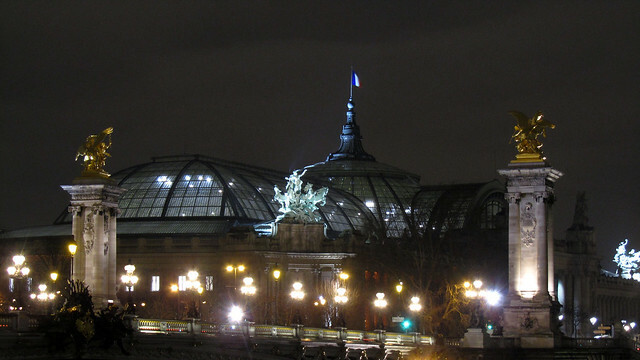 14 Jan: It was the final evening of Bohèmes at the Grand Palais. Really, you’d think with a Sésame+, Frédéric and I would have seen this a couple of months back. But no, we kept delaying it. Frédéric even went to see Hopper thrice in the mean time. Just before joining the queue, I hied myself over the Pont Alexandre III to see if I would get a decent photo of the Grand Palais by night. Not bad, right? 15 Jan: It has been a while since I last visited Cité U. It’s funny to even think that this was the place I called “home” for about 9 months of my Parisian life. This time, I’ve received an invitation for two to see a theatre piece called Roadmetal, Sweetbread, which is very interesting, concept- and execution-wise. The “story”, however, is a little out there for both Frédéric and I. 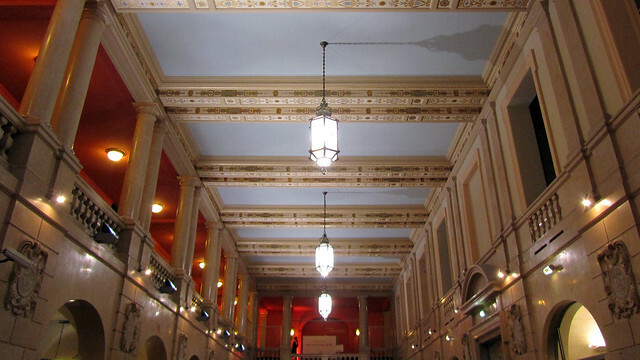 Before we were admitted, we waited in the central hall of Maison Internationale, under this beautiful ceiling with a touch of Orient. 16 Jan: A couple of days ago, I popped up to the top floor of my building to attend a seminar. It is the first time that I’ve been in this part of the building and my, I was blown away with the views of the city one can get up here. I grudgingly wondered why is my office not up on this floor instead! 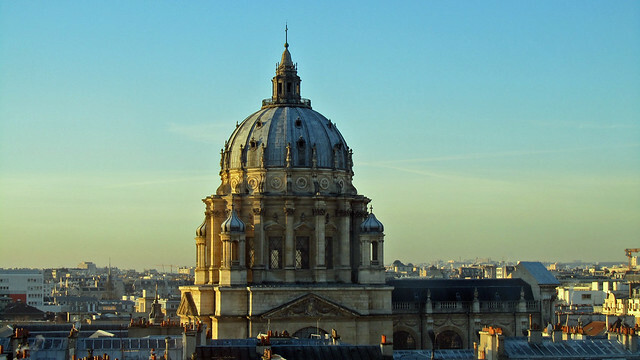 I revisited the floor this morning and by the stairs, I caught a glimpse of Val-de-Grâce as the morning sun poured its warm hue over the magnificent dome. I knew then this view had got to be shared with all of you! 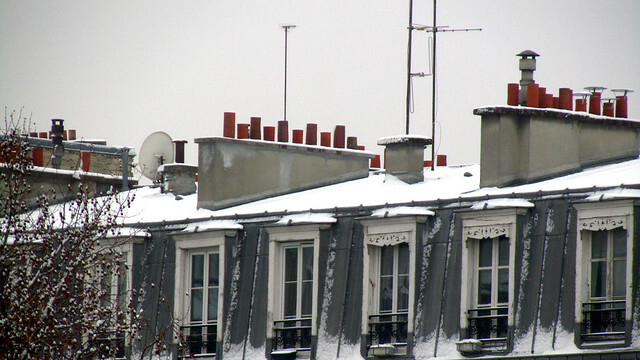 18 Jan: There are not many buildings within central Paris that can be touted as one of high-tech architecture in style. 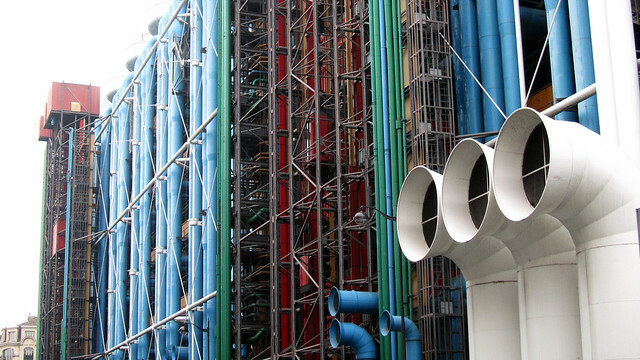 Centre Pompidou stands above them all. It houses, among others, the National Museum of Modern Art (Musée National d’Art Moderne) which contains an amazing collection of works by the likes of Picasso, Kandinsky, Nolde, Chagall, Miró, Rothko and Man Ray. It is also known as the “inside-out” building (not sure where I learned this snippet of information from) as the pipings for the building are found on the exterior. The colours of the pipes are coded according to functionality (e.g. plumbing, heating) but there are suggestions that the colour coding is no longer strictly adhered to. 20 Jan: I have never seen Place du Tertre so … empty. Normally, this is the spot where canopies are out with restaurants serving food and drinks to visitors. 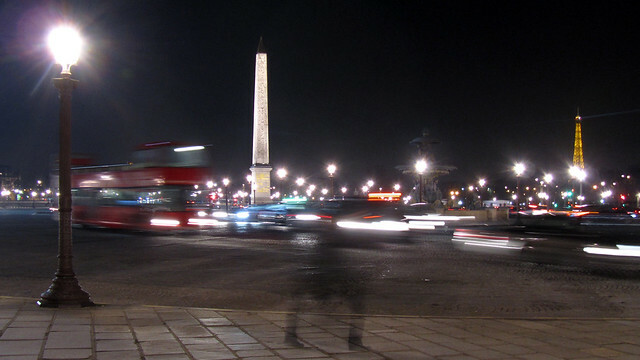 Normally, surrounding these eateries are artists who offered to sketch portraits, or painters selling their works which many depict Paris in the most nostalgic manner possible. Normally, it is a given that one’s walking speed is reduced to about 10 steps per minute, or something like that, when manoeuvring the square. 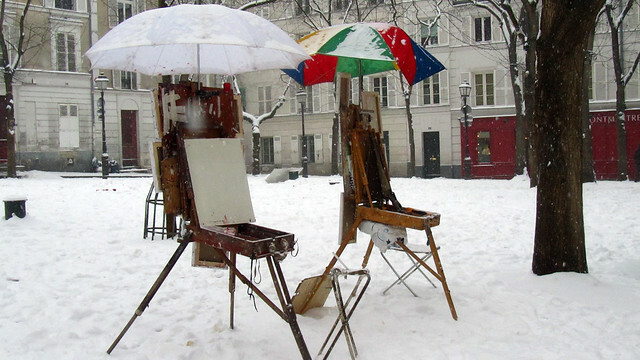 Normally, there are more than just two easels with empty canvases set up without umbrellas.